WASHINGTON, Jan. 31 (CGTN) -- U.S. President Donald Trump said on Thursday that the date and location of his second meeting with Kim Jong Un, leader of the Democratic People's Republic of Korea (DPRK), have been decided and will be announced next week. "We'll be announcing the location and... the exact date it will be, it'll be end of February," Trump told reporters at the White House. Trump added that his administration will announce the venue and date "next week." The meeting between Trump and Kim, if held as scheduled, will be the two leaders' second face-to-face encounter following their meeting in Singapore last June. Both sides have said they look forward to such a meeting. U.S. Secretary of State Mike Pompeo said Wednesday that the second meeting would take place "someplace in Asia," without revealing further details. Also on Thursday, the U.S. Department of State announced that Stephen Biegun, the U.S. special representative for the DPRK, will travel to Seoul on Sunday for a meeting with his Republic of Korea (ROK) counterpart Lee Do-hoon. Biegun will also have follow-up meetings with his DPRK counterpart to "discuss next steps to advance" the goal of denuclearization, the department said in a statement. In a speech at Stanford University in Palo Alto, California, Biegun called for the DPRK to declare all its nuclear and missile programs and warned that Washington had "contingencies" if the diplomatic process failed. Biegun said Washington would have to have expert access and monitoring mechanisms of the key nuclear and missile sites and "ultimately ensure removal or destruction of stockpiles of fissile material, weapons, missiles, launchers and other weapons of mass destruction." 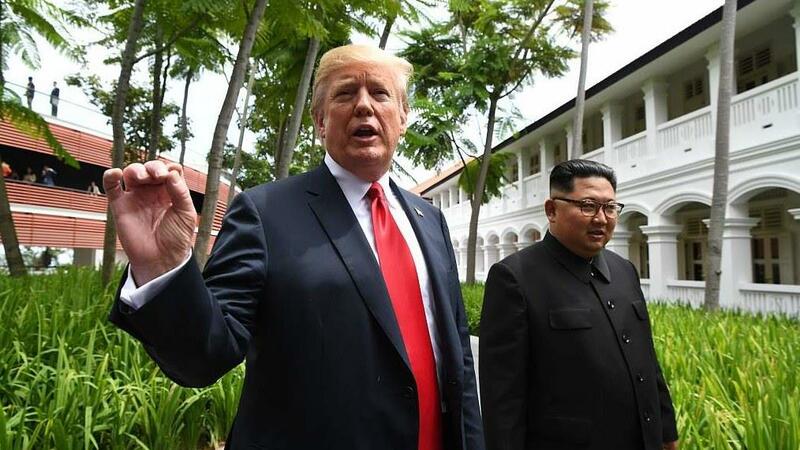 Trump and Kim held their first summit in Singapore on June 12, 2018, agreeing on some general visions on denuclearization of the Korean Peninsula and improving U.S.-DPRK ties. However, talks on how to implement the consensus have hit an impasse. It will be closely watched if the second meeting will break the deadlock.